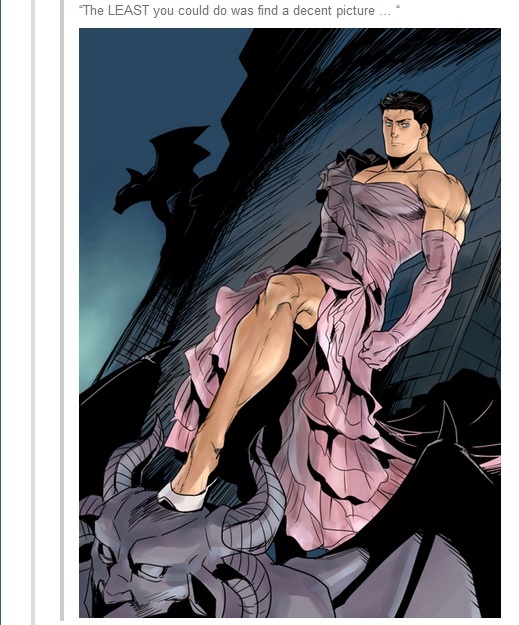 Yeah, 'cause, you know, clothes define your personality. To an extent it does. 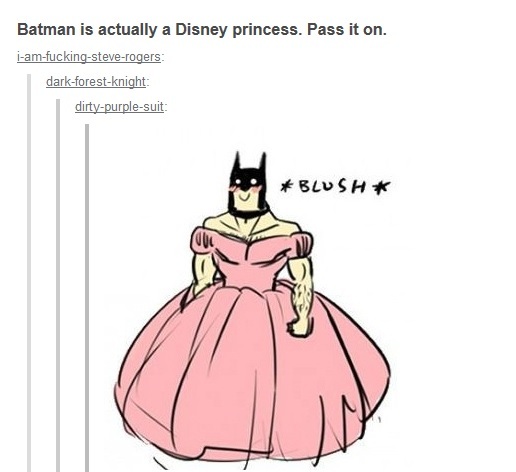 You won't see Batman wearing pink. Turtles wearing all red is just plain and boring. They're all the same lookwise, that's why I normally skip IDW origin story at the beginning until they get their individualized bandana. Clothes don't define your personality but your personality can define your clothes. Sure, try going to town just wearing a thong. Your personality can define your clothes, don't worry. Anyway, I don't particularly care about Mirage's red masks. I mean, it looks cool in some art works, but I don't care enough to see them becoming a rule again. Well, to each their own. I for one, would love to see them all wear red again. The newer incarnations seem to like a different design for each character anyways and there's also sometimes color coded wraps on their weapons, so it's not like they'd have to abandon the cartoon colors. Now that you mentioned it.. I just remembered.. I wonder which Batman issue that was from..
Another reason why Brave and the Bold was awesome! I wish they would have continued that show. With me being a huge Mirage nut, I'd love to see another version that would have them wear red masks again, whether be a new cartoon, movie, etc. To me, the red bandannas are the single most over-rated thing in all of TMNT history. There, I said it. All about the colored bandannas. I don't see how. If anything, "underrated" as much as they're ignored in 98% of everything TMNT Product™-related. Bebop & Rocksteady are overrated. Most people don't even know about the red bananas, let alone clamor for their return. May I ask why the all-red masks are so great? I've never understood that. I agree, though. It's always a pleasure to see them in a more casual state. Sincerally, i like the coloured bandanas. Gives iddentity to the turtles. REd is cool , but i don't care with the classical color. They're not there to sell toys to toddlers, for starters. And that is literally their genesis. I took it to be their clan/team colour, like a uniform. The Mirage characters in particular were raised to carry out their mission, so for that iteration in particular the uniform red colour makes a lot of sense. Other versions of the characters are more overtly individualistic and in-story were generally raised as ninja for their own protection moreso than a mission of vengeance. That's why I'm generally very cool with the multi-coloured headbands in those cases. It's also excellent visual shorthand for the individual characters, which yeah, absolutely came from marketing toys, but it's also pretty useful for "mainstream" adaptations. The "all red" being a Mirage thing makes it more special to me, honestly. It's the original, and being a bit unique visually amongst all the other adaptations/variations makes it stand out. That's looks pretty awesome actually. Bandanas being different colors to me has always been like that guy, always wearing the same hat or same exact shirt everyday. They're a team, they need to be unified. Wear red. Well, are the bandanas part of a uniform, or personal clothing? I think that the more unique dressing choices tend to make the characters more interesting to watch than the more uniform ones. Seriously? I've taken a look at some of the original comics. The Turtles, like the '80s cartoon, look exactly alike. I'm nobody's idiot, and I could't tell which was which, unless they were addressed by name or were holding a weapon. That made me very quickly decide I did not want to read Mirage stuff. Believe you me, the colored masks area a very useful anti-frustration feature. On top of that, I like the extra color. It makes the comics/cartoons/movies/whatever more interesting to read/view. You obviously don't pay attention to the art very well in context with reading it... it's obvious which one is whigh almost all the time. But if you like the multiple colors, more power to you. The powers that be obviously think people are too stupid to tell them apart or they would have kept them all wearing red. Last edited by mrmaczaps; 09-13-2016 at 09:15 AM.